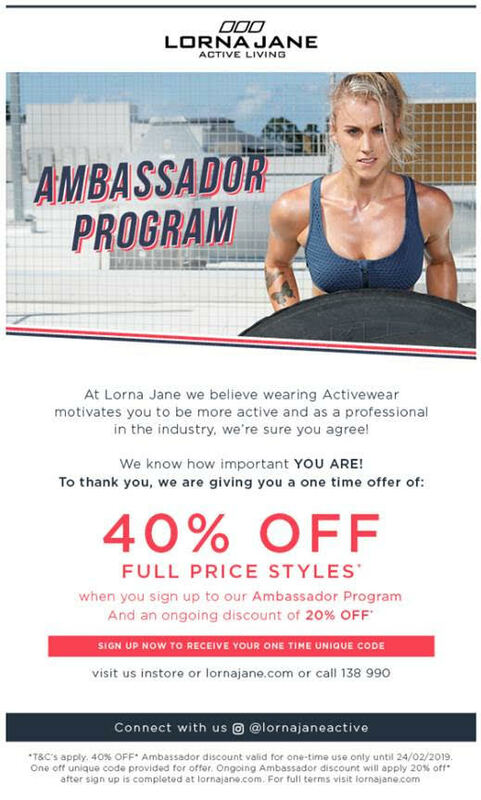 Lorna Jane are currently offering a GREAT discount for Fitness Professionals. Simply register either online or instore to receive a unique 40% discount code which will occur same day. You will then receive an ongoing discount of 20% off all year round. When registering online, remember to include where you currently work or have worked (Goodlife, World Gym etc).